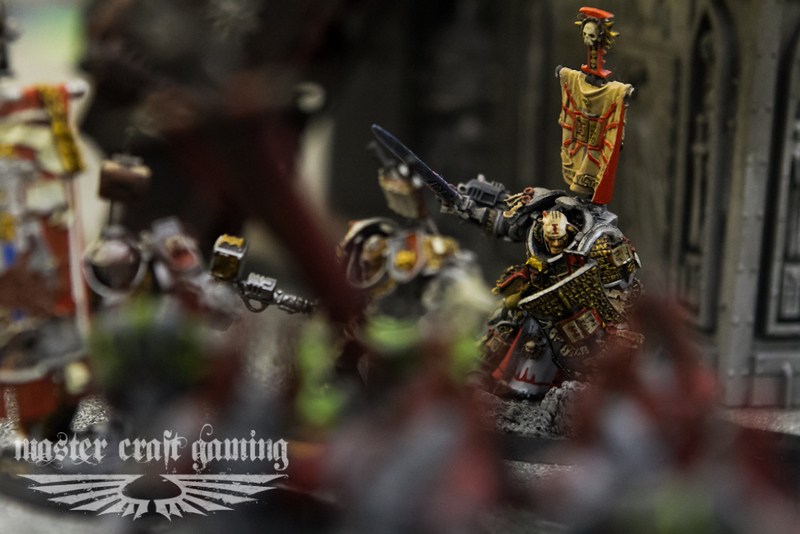 Posted on August 13, 2012, in Game Strategy, Gameplay, Grey Knights, List Building, Micro, Strategy, Uncategorized and tagged 40k, 6th edition, deathstar, Draigowing, fearless, feel no pain, fnp, guants, tar pit, warhammer 40k. Bookmark the permalink. 7 Comments. You guys are right, those are both fantastic options. Can you think up any other combinations for good tarpit units? (Ehem…IG w/BA) It’s good to find some that may be useful for whatever army you are playing, and at this point nids and demons are not the most common allies. DE have that Beasts which are tough but dunno if u can hold a Deathstar with it. Orcs and IG have numbers to trow at them. But even without such units its not that hard to bait a Deathstar around. f.e. Draigo unit without transport is easy to bait. Some just lack mobility. Clever opponent will know but its worth a try. One of the combos I was hinting at was the following allied detachment: Allied IG with Creed, Chenkov, 50 conscripts, with whatever infantry squads you want. With Kell, Creed makes the conscripts take his fearless command on LD 10 and when their numbers are getting low enough, you can kill the remaining off at the start of your turn to release the enemy deathstar for you to shoot at before bringing that whole squad back in from reserve with Chenkov’s ability. That makes them a re-useable tar pit that can disapear right before your shooting phase; pretty tactically sound eh? Great article, but a few small points on your math. Most Draigo Deathstars are going to have a banner in them as well. This means the unit will have 3 attacks each instead of 2 (4 on the charge). Also, unless the player is an idiot, he will be using the banner to auto-activate his force weapons to deny you Feel No Pain. This changes the numbers a bit. 20 will die on the charge, and 15 will die every assault phase after that. That makes the cost 175 points for one turn and 150 for every turn after that. The cost of your tarpit example has has just doubled. santyn thanks for the compliment and for checking my numbers. Just in reply, I want to point out that this example was an exercise and not the only way to apply this method. For that purpose it was also assumed as a perfect world example; a full squad of knights unaffected, no shooting before charging, successful charge range, no further powers blessing that guant squad etc. But you are right, if you have this exact example without any other effects to either side apart from the bonuses to the Knights, it will cost more to pull it off. However, realistically you won’t have to pull it off for all five game turns, and there are other ways to modify the combat, as there would be for whatever tar pit unit against whatever deathstar you may need it for. I’m glad to have your comments here. Productive and thoughtful discussion always helps improve the community. Again, the example presented here, as others in the future, is meant to be an abstract tactic that will, necessarily, have to be modified for any actual use.